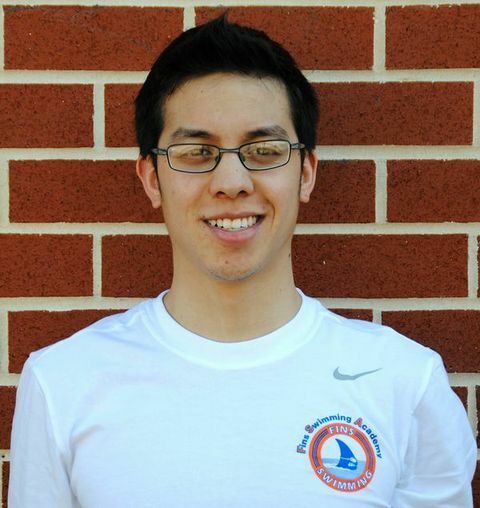 Coach Ben grew up swimming in the Montgomery County Swim League (MCSL) as a member of the Tilden Woods Dolphins. Coach Ben swam for Tilden Woods for 12 years, became an Assistant Coach at age 15, and would go on to coach for seven seasons as the Dolphins rose to Division A in the MCSL. At the high school level, Coach Ben was a two-time captain of the Walter Johnson High School swim team, county champions each year of his tenure between 2004-2007. After high school, Coach Ben went on to Boston College where he swam primarily the 200 Butterfly and 400 IM for the Eagles swim team. Among Ben’s favorite swimming memories are the endless amounts of victories his Tilden Woods coaches’ relays claimed, ACC Swimming Championships, building spirit props at 2:00 a.m. for the Dolphins, fashionable prescription goggles, awful tan lines, and helping to direct and grow the FINS brand of coaching. Coach Ben has been coaching FINS for the last two years, where he hopes to bring the spirited MCSL swimming atmosphere to FINS year-round training.